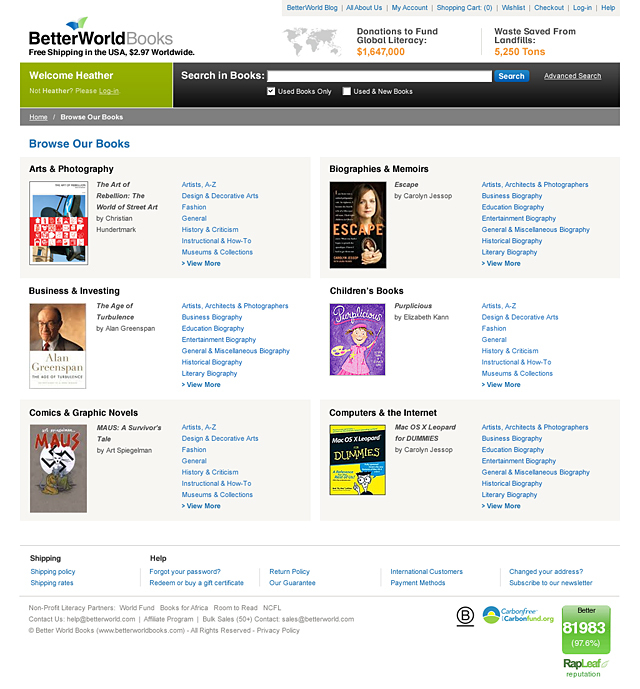 Better World Books wanted a site to bring their charitable retail site up-to-date in both look and functionality. 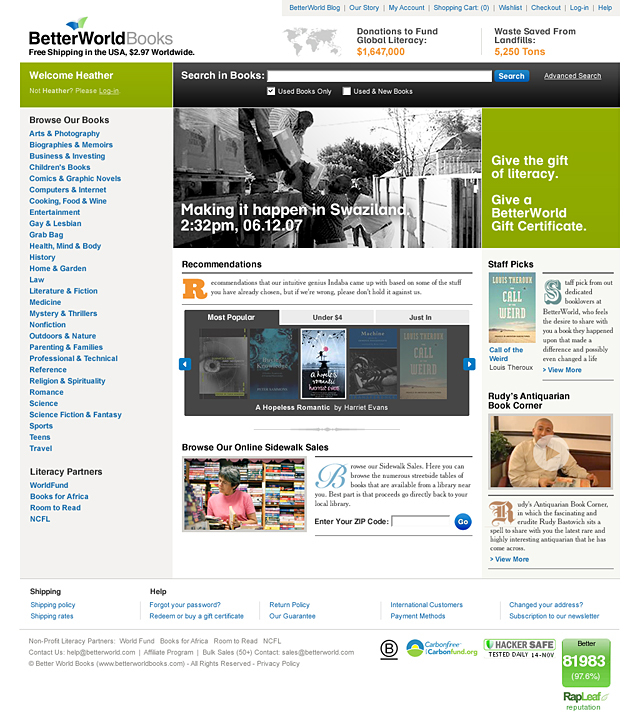 We updated the site design and added features like counters for books saved from landfills and funds donated to programs for global literacy. 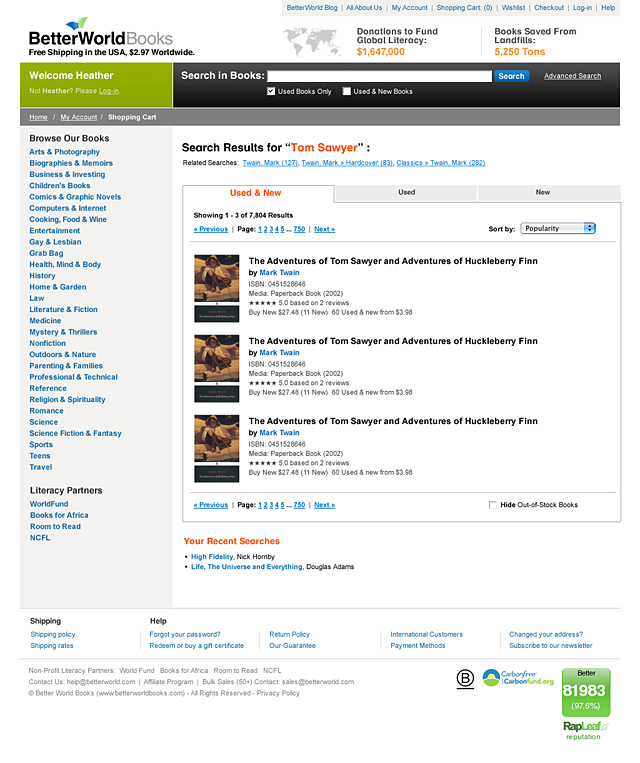 The new site generates respect and trust for Better World Books through contemporary design and online trust markers. 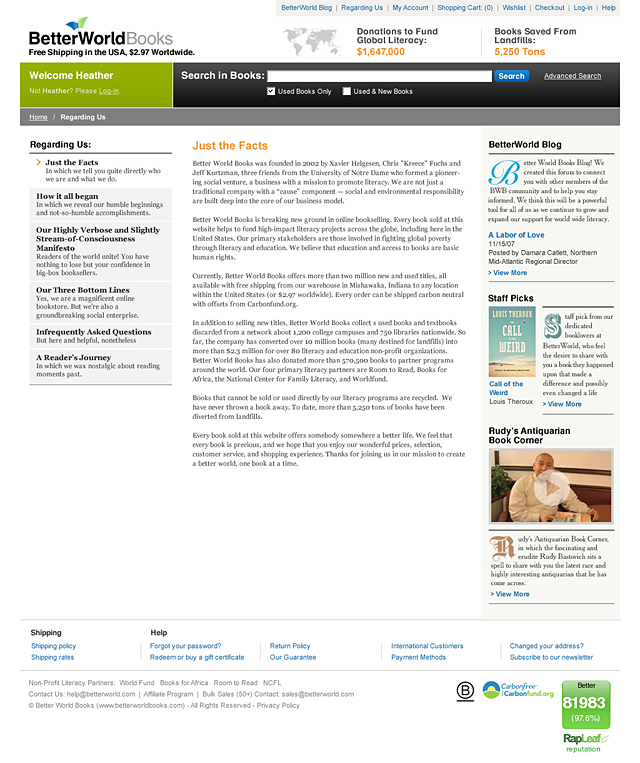 This helps them to increase online sales and expand their support of global literacy programs. It is indeed a better world.